Winchester .177 Cal. Maximum Velocity Pellet 250 Tin | BUDK.com - Knives & Swords At The Lowest Prices! 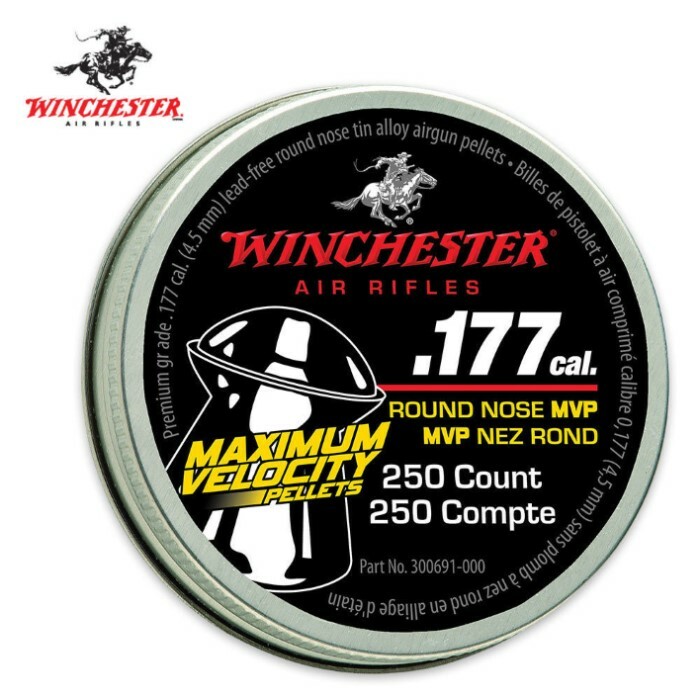 You can't go wrong with Maximum Velocity ammo from Winchester! Maximum Velocity pellets offer 25% higher velocity than lead pellets. This tin features 250 hollow point .177 caliber pellets for lots of airgun fun!